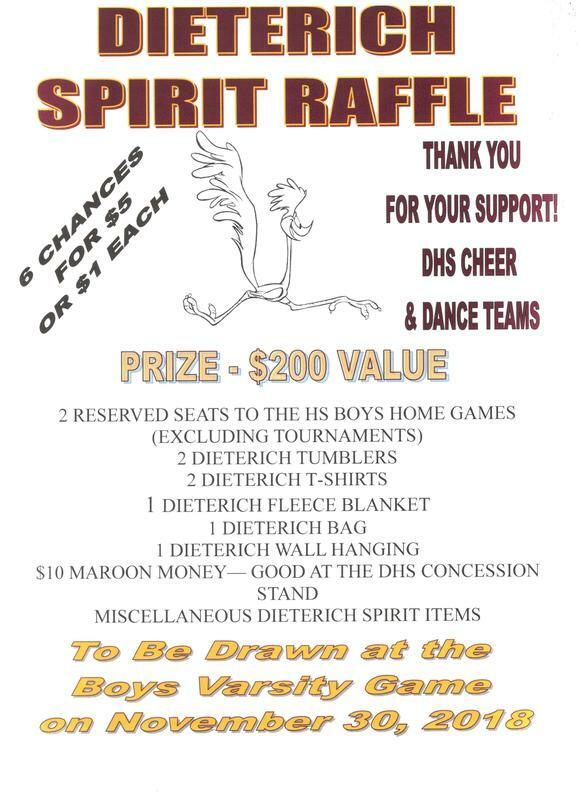 The Cheer and Dance Teams are raffling off a Spirit Basket full of Dieterich items including reserved seats, shirts, blankets, tumblers, "Maroon Money" for concessions, etc. Drawing to be held November 30, 2018. Tickets are $1 each or 6 for $5. The Cheerleaders are also selling megaphones with 8 popcorn fill-ups for $5 along with various spirit items at the HS Boys Basketball games.